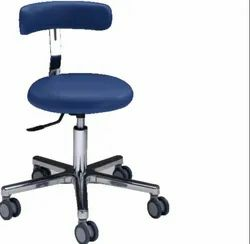 We are a leading Manufacturer of doctors chair from Hyderabad, India. Overall approx size: Top 300mm Dia with Height adjustable465mm to 710mm.Stainless steel Top & Stainless base with Backrest.OPTIONAL:Height Adjustment by gas springCushions for seat & Backrest. Looking for Doctors Chair ? Bed Side Locker - STD.